One again, I found myself watching a “sports-inspired” movie and ending up finding inspiration for the world of education. 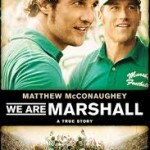 We are Marshall depicts the story of the 1970 plane crash which claimed 75 lives, including the majority of the Marshall University football team, their coaching staff and boosters. Following the crash, a new coach, Jack Lengyel, portrayed by Matthew McCongaughey rebuilds not only the team but the small town of Huntington. 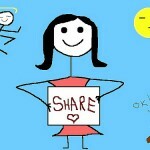 I started to reflect on the pros and cons of electronic communication. Within our world of education, emails fly back and forth throughout the day, our fingers fly over our smartphones as we send text messages and we have crafted our tweets down to 140 characters in order to send our messages out to the world. 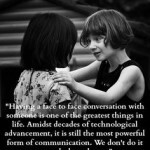 At times we all need the reminder that the most important communication needs to happen face to face. Efficient does not always equate to Effective. The second obstacle involved learning and perfecting a new play that the Marshall team of freshman players could execute with precision. On the theory that “it doesn’t hurt to ask”, the coaching team asked the West Virginia team coach, Bobby Bowden, if they could study their “V” play, knowing that the teams would not compete against each other this season. In the competitive world of college football, it would have been common practice to deny such a request. But that didn’t happen. 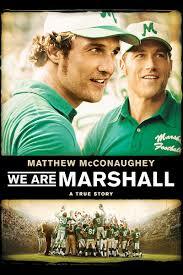 The Marshall team was allowed to study the play until they had had it perfected. By sharing their knowledge, the Virginia team not only positioned themselves as a class act, but they helped to strengthen the league. 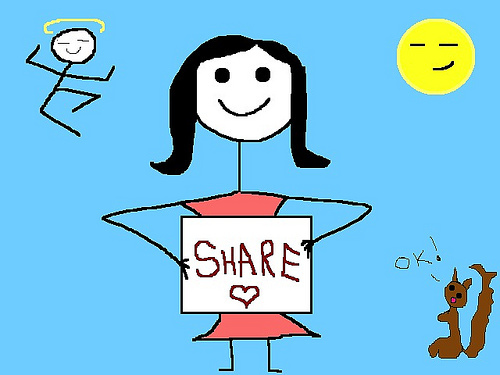 That level of sharing needs to be replicated from school to school, from department to department and ultimately from school board to school board, if as a province we want to see improvement on a large scale. 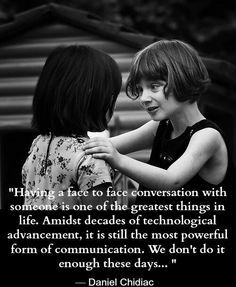 We are Marshall reinforced a couple of key components for educational improvement ~ Know when to have that face to face conversation and intentionally share. What is another sports-inspired movie that inspires the educator in you?